Please Consider Supporting OpenOceans Global. OpenOceans Global's efforts to create an international, cross-sector ocean community supportive of archiving, aggregating and creatively dipslaying the world's ocean data have only just begun. As we move forward with our innovative efforts to reach OpenOceans Globals' goals, significant resources will be required. We are reaching out to our many friends and inviting them to support our efforts. Clicking on the PayPal "Donate" logo will take you to our online support account. Please contribute what you can and feel free to offer suggested sources of funding by sending an email to allofus@openoceans.org. Thank you in advance for your generosity! 1% for the Planet. OpenOceans Global is a non-profit partner of 1% For the Planet, a global alliance of companies committed to investing 1% of their annual revenues to campaigns for clean air, pure water, safe food and wild places. Last year 1,250 companies gave $15 million to hundreds of organizations who have a focus on sustainability. We encourage companies who believe in OpenOceans Global's work to consider dedicating one percent of their annual revenues to support us. For more information, go to 1% For the Planet online. Blue Tech and Blue Economy Summit. The San Diego Maritime Alliance will host its Fourth Annual Blue Tech and Blue Economy Summit on November 7, 2012, at the Port Pavilion on San Diego's Broadway Pier. The keynote speaker will be Aquarium of the Pacific President Jerry Schubel. Dr. Schubel is also an OpenOceans Global advisor, and we are proud to be an institutional sponsor of the summit and the Sustainable Seafood Gala to follow. For more information, visit the Maritime Alliance online. Esri Announces Ocean Initiative. Esri, the world leader in geographic information systems (GIS), announced its new ocean initiative at the organization's annual user conference held this past July in San Diego. 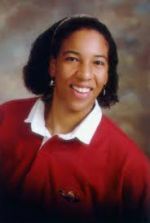 The organization has brought on Dawn Wright, Esri's new chief scientist, to head the initiative. Wright is a prominent scientist from Oregon State University where she was a professor of geography and oceanography. She is also a member of the National Academy of Sciences Ocean Studies Board. Sea Water to Jet Fuel? 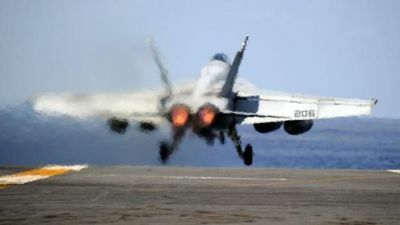 The BBC reports that the U.S. Navy is working on a process to convert the carbon dioxide and hydrogen found in sea water into jet fuel. A key question that will need to be resolved is how much energy will be required to create the energy found in the new fuel source. A pilot project in Florida is exploring that question. Ocean Fertilization Criticized. According to the UK Guardian newspaper, an American businessman dumped 100 tons of iron sulphate into the ocean off British Columbia in July to prove he could increase phtytoplankton growth that would absorb more CO2 from the ocean. According to the Guardian, this geoengineering experiment to fertilize the ocean is sparking outrage and is a "blatant violation" of international agreements . The experiment is believed to have been an effort to prove the viablity of creating a new carbon offset market using ocean fertilzation. A Call for a Deep Sea NASA. To address the perennial lack of funding for ocean research, two marine scientists have called for the development of a new organization to research the deep sea that would be like NASA. The idea surfaced in Deep Sea News, a blog about ocean matters. 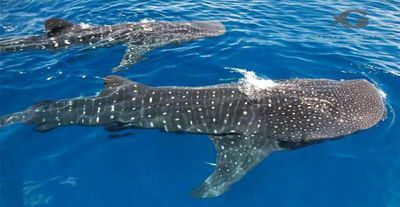 To prove their point, the author of the blog pointed out that the largest aggregation ever recorded of the largest fish in the world, the whale shark, was unknown until 2006, even though hundreds gather off Cancun, one of the world’s most popular tourist destinations. Record Shipping Through the Arctic. According to World Maritime News, this summer saw a record number of ships navigate the Arctic ocean. As of October 18, 2012, 35 vessels have sailed between Asia and Europe through what is known as the Northern Sea Route. The ships carried one million tons of shipments, 200,000 tons more than last year. Because favorable ice conditions for shipping should last another month, the new record is expected to grow. The ships are primarily carrying petroleum products, other liquid cargo, or fish. We are grateful that we have three world-class founding partners to help us move forward. The National Oceanic and Atmospheric Administration (NOAA) is an international leader in data and marine education organization, the Aquarium of the Pacific is recognized globally as an exemplary non-profit education organization, and the MIT/USGS Science Impact Collaborative is an esteemed joint-fact-finding/conflict resolution center. Research, education, and bringing people and organization's together are the most important items on OpenOceans Global's agenda, and we appreciate having these three world-class partners. You are receiving this E-Newsletter because you are a friend, an associate or someone in our circle who we believe would be interested in OpenOceans Global's goal of aggregating and creatively presenting the world's ocean data online using advanced visualization technologies. However, before we can accomplish that heady goal, we intend to create a cross-sector community of people and organizations who understand that we can't save the ocean or use it safely if we don't understand its processes. Those processes include the ocean's interaction with the atmosphere, climate change, watersheds, and the water cycle. We believe that the need to understand the ocean is something we all have in common, no matter what our interests. Our web portal has been constructed to provide value across ocean sectors by linking to accurate information about the ocean. The web site is the next step in the process to accomplish OpenOceans Global’s objectives. Please check back at www.openoceans.org regularly! Please "Like" Our Social Media! The Ocean, An Untaken Leap for Mankind. Please link to the blog at http:/blog.openoceans.org and feel free to share that link with friends and others who might be interested. In August, we published a test of a new newsletter format called Ocean News Briefs. Included with that newsletter was a short three-question survey. More than 85 percent of respondents found the format valuable. Regarding frequency, 45 percent suggested a monthly report, 32 percent thought weekly would be good, 14 percent favored bi-weekly ocean news, and another 9 percent didn't know. More than 85 percent found the format valuable. Given that such a large percentage of respondents thought the format was valuable, its wasn't surprising that an open-ended question about the kind of information they would like to read generated a diverse set of responses. Prominent in the responses were those who want more news about how to protect our oceans globally as well as news of people, organizations and countries acting in ways that are harmful to the future of our oceans. Generally, information was desired about the environment, policies, breaking news, and science, along with special interest stories. The importance of fish was also clear. Readers wanted to know about fish resource levels and about factory fishing ships and how laws regulating those ships are enforced at sea. Global climate change also figured prominently. Readers wanted to know about the economics of climate change and how it willl affect fishing, land use, and emergency response. Related to that were suggestions to provide information about monitoring islands and the impact on those islands due to rising sea level. Melting of polar ice caps and how it affects wildlife was also of interest, as was the annual rates of hurricanes/typhoons globally over the last 10 to 20 years and whether there have been significant pattern shifts. Other readers were interested in educational ideas, links to study reports, and training and grant funding opportunities. San Diego readers thought local stories would be interesting, given San Diego's historical prominence as an ocean city involved in maritime matters from tuna fishing to ocean research. Give Us More of the Same! A number of readers said they liked the stories in the initial Ocean News Briefs and asked for more of the same. One respondent suggested doing a better job of differeniating between types of information by creating subheads that would make it easier for people to identify the information they are interested in. 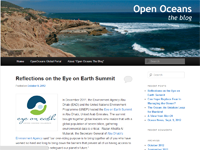 The survey clinched our resolve to launch "Open Oceans the Blog" where we published a second Ocean News in September. We will continue to use the format of this e- newsletter while augmenting it with use of the blog to meet reader requests for more regular information in an easier-to-read format which will include sub-heads. Thanks to all who participated in the survey! Privacy Statement: We will never forward your information to third parties, and you'll only receive important updates related to OpenOceans Global. "There is no limit to what you can do or how far you can go as long as you don't care who gets the credit." Content copyright OpenOceans Global. All rights reserved. This email sent by OpenOceans Global at P.O. Box 22971, San Diego, CA, 92192-2971, United States.